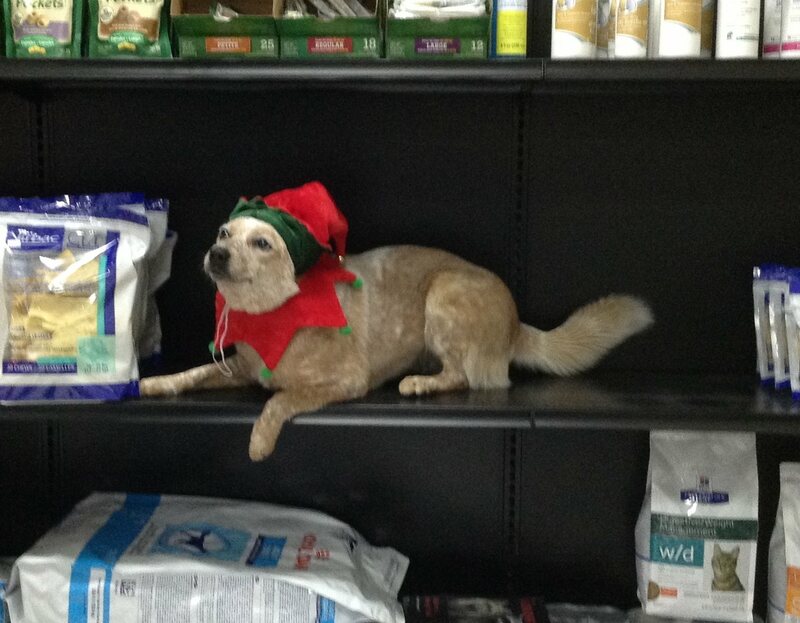 Home » For Pet Lovers » More Elves on Vet Clinic Shelves! It’s an epidemic no one’s talking about. 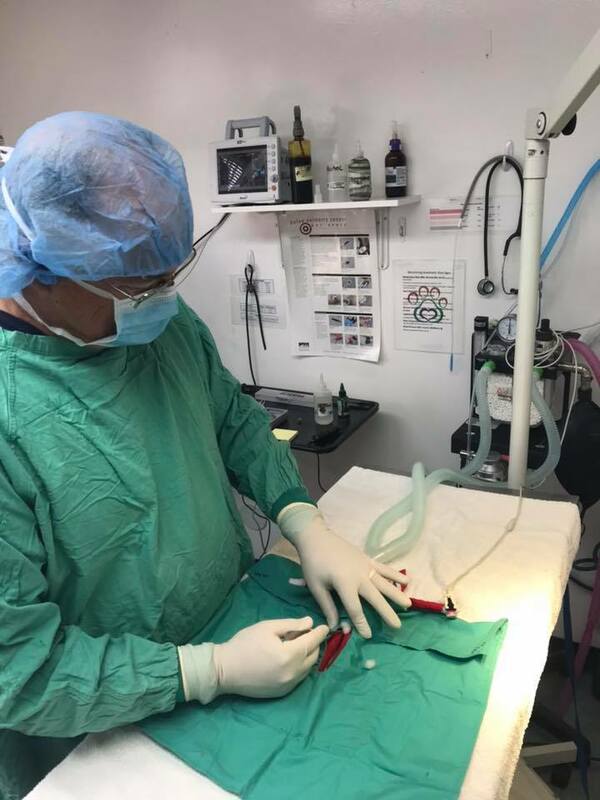 But it’s time to expose the reality of what Vet Clinics across the continent are experiencing. 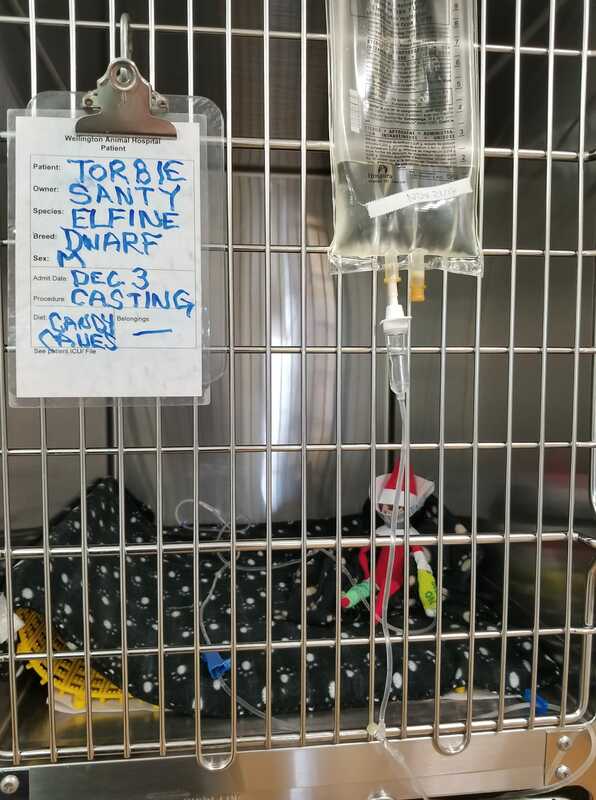 We’re beginning to suspect the infiltration of Veterinary Hospitals is only Phase 3 in their plan to take over the world. 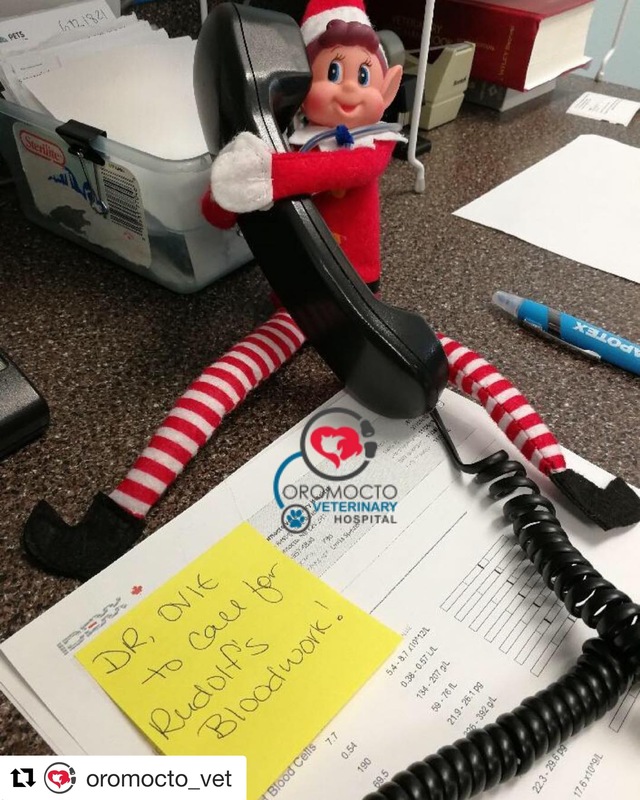 Some have even begun to acclimate by posing as employees! 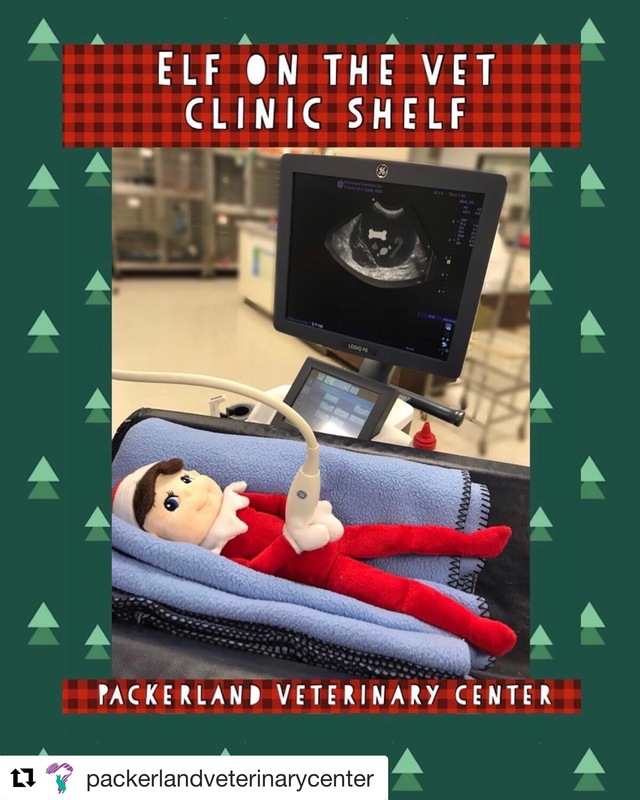 Below, we expose more of the elves caught on Vet Clinic shelves! 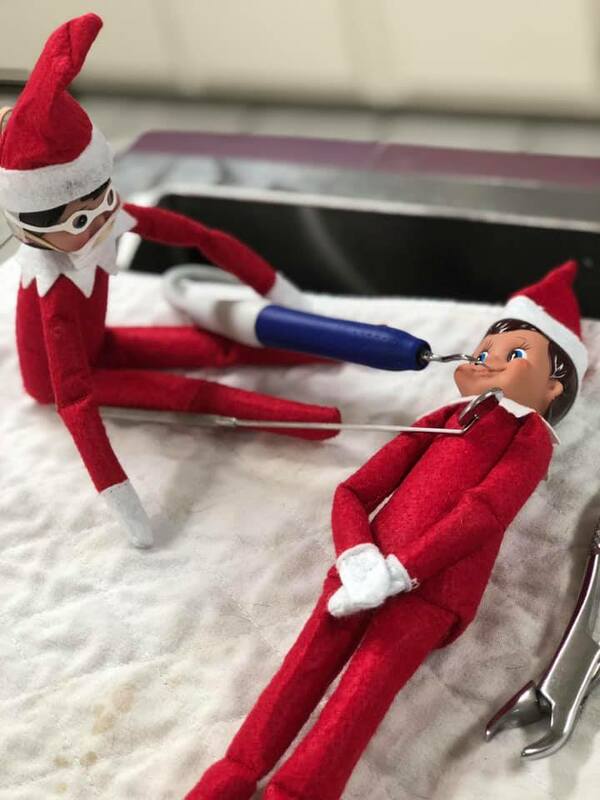 Even elves – or Elvis peppermintus familiaris – need dental care, too. Especially with their well-balanced diet of sugar and more sugar. A prime example of an Elf trying to “blend in” and “look helpful”. Really he was prank calling pizza stores and giving them the name “Pepe Roni”. 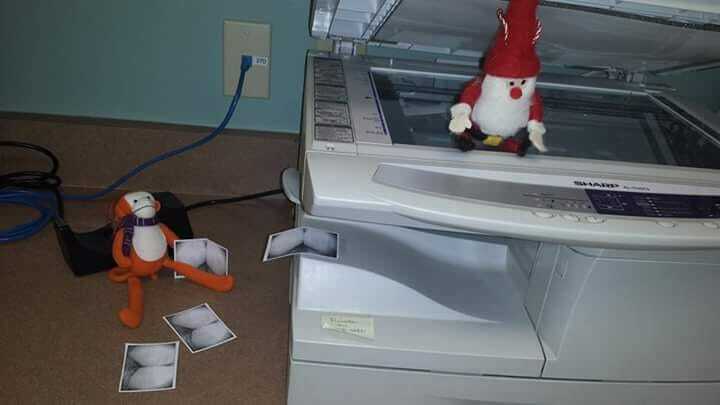 Something looks suspicious in this elf’s belly. May want to refer to a specialist for this one. Again, don’t be fooled. 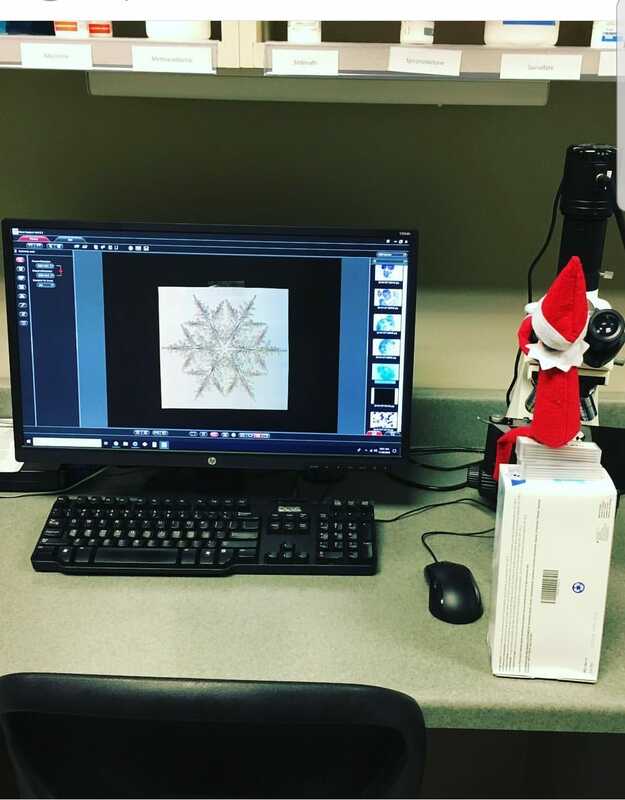 This elf appears to be doing something productive. 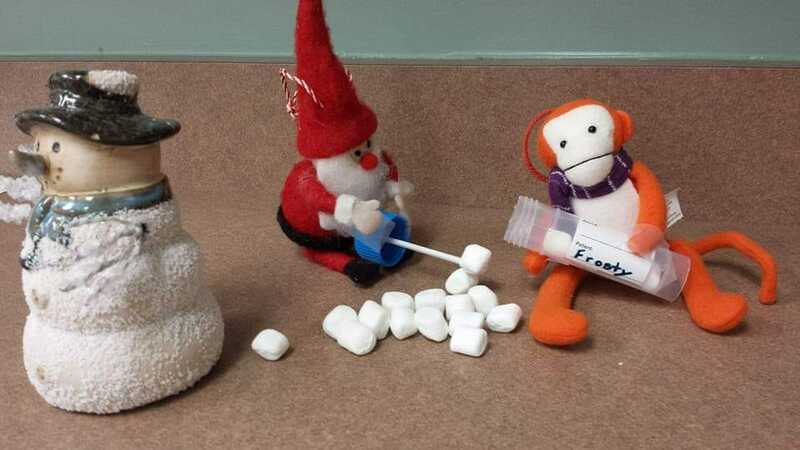 Really, he lost a mini marshmallow and is determined to find it. We highly recommend using a rabies pole when capturing elves. They are unpredictable and fear free handling has not proven successful. 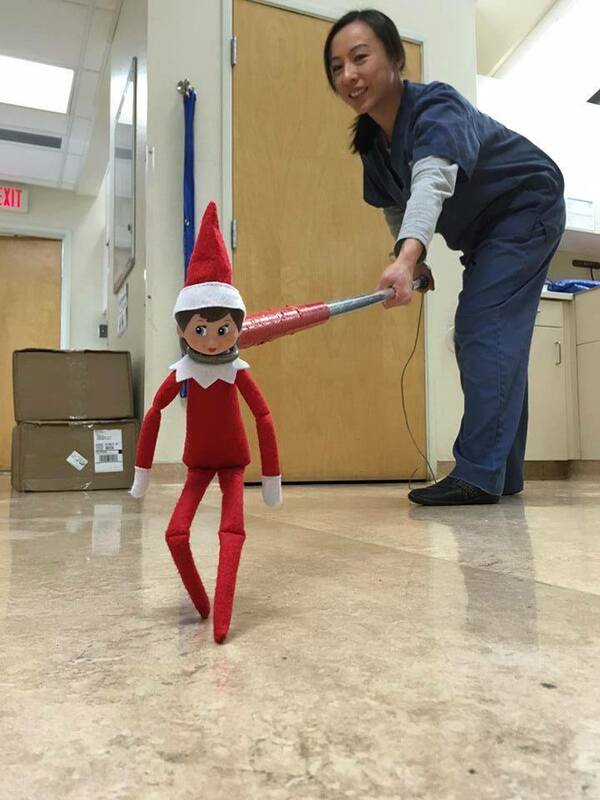 Even elves get neutered if they hang around the hospital too long. Let that be a warning to the rest of you! Typical. 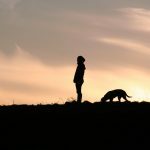 Owner drops a pet off with a special diet but doesn’t provide it! Ugh! 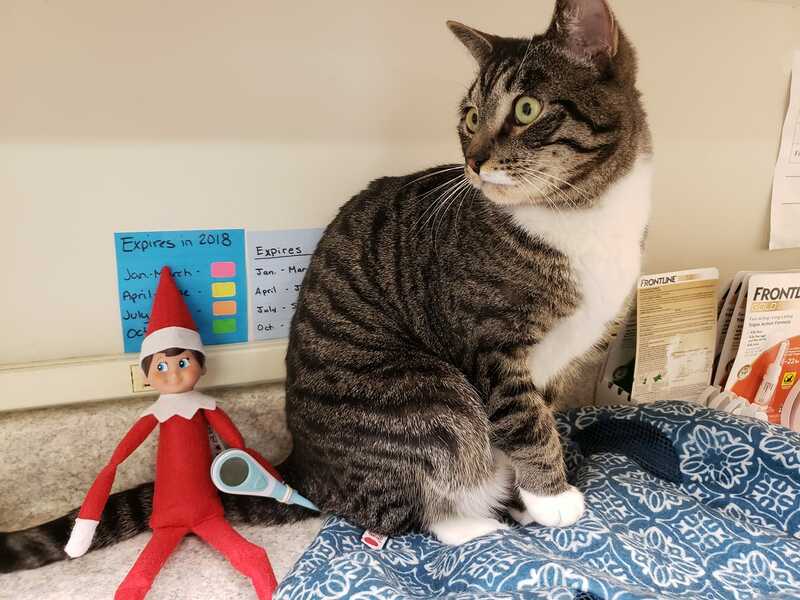 Like we said, cats and elves just don’t seem to mix. Sissy, the clinic cat, has made her demands clear. Never seen that kind of urinary crystal before…? Ok, remember that thing we said about teamwork? Scratch that. Ok fine, they’re not all bad. 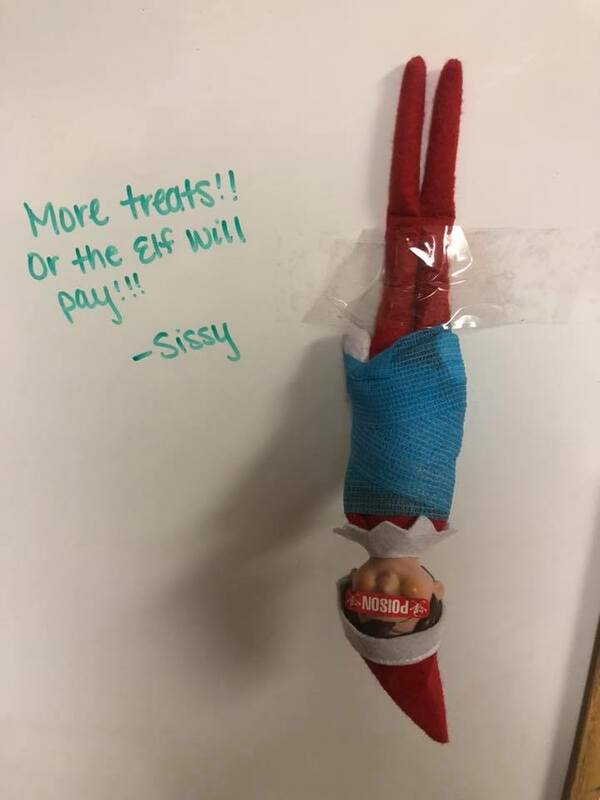 This is hands down our FAVORITE Elf on a Shelf! 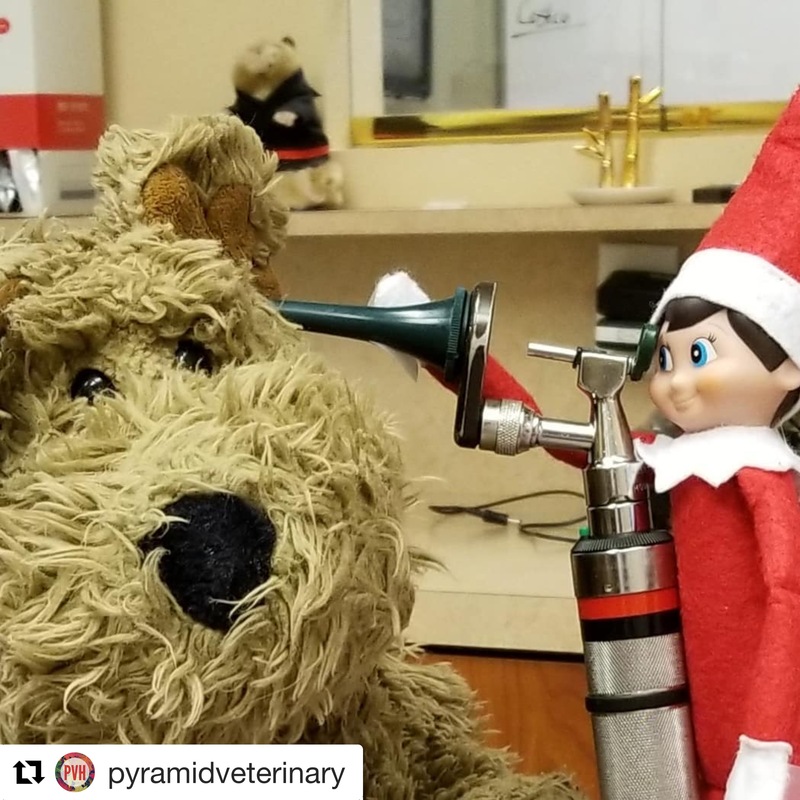 This post was inspired by the original article “These 5 Veterinary Elves on Shelves Will Make Your Day” by Danielle Lambert. 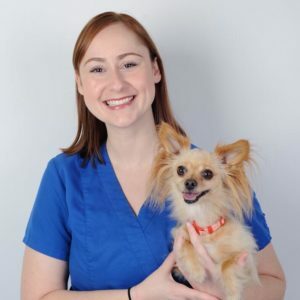 Kelsey Beth Carpenter is a Registered Veterinary Technician, singer/songwriter, and creator of the Instagram series #ThingsHeardAtAnAnimalHospital. She holds a degree from UCLA and works as an ICU and Emergency Technician at a hospital in the San Francisco Bay Area. Kelsey writes articles and original songs about veterinary medicine – to check out her other works, visit www.facebook.com/kelseybethcarpenter.